After a savory meal, I need a little treat to get my sweet fix. One small piece is all I need but it has to be the right flavor combo to satisfy my insatiable sweet tooth. Chocolate and mint seem to send the right signals to my brain. 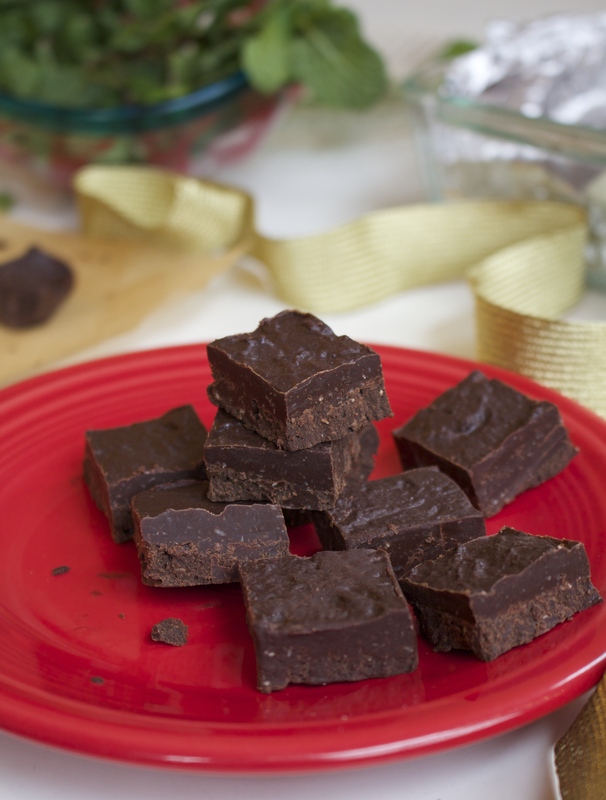 I created this chocolate peppermint fudge recipe and it’s exactly what I need after a big meal. Chocolate gives my body the sweet satisfaction and mint sends the signal that the meal is complete. 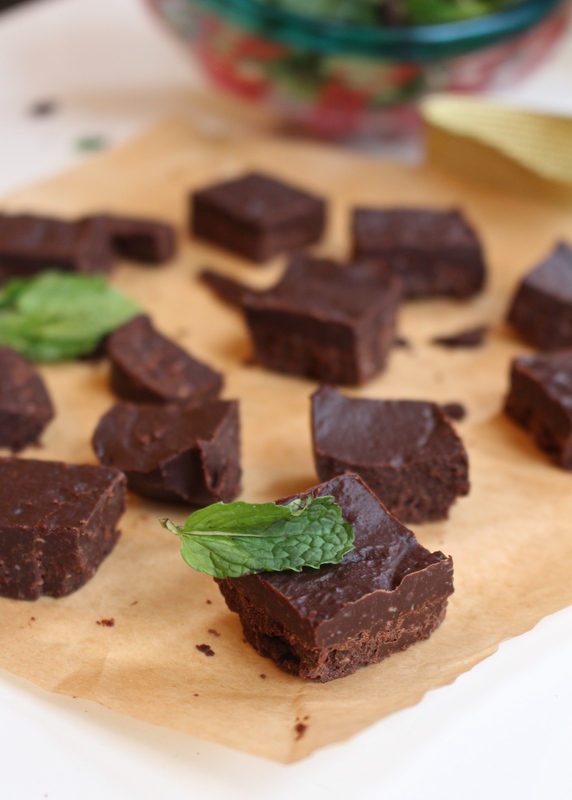 If you’re an Andes Mints lover, that’s exactly what these fudge bites taste like. You’ll absolutely love this recipe! I think it’s the mint that is so satisfying and stops you from eating more than one or two. These are very dark chocolate so if you’re more of a milk chocolate fan, add more coconut milk to tone down the intensity. ►Line a 9”x9” pan with parchment paper. Set aside. ►Melt chocolate over a double boiler. Then add in the coconut oil, stirring constantly to combine. ►Once melted, add the coconut butter, maple syrup, and coconut cream. Continue stirring until well mixed. 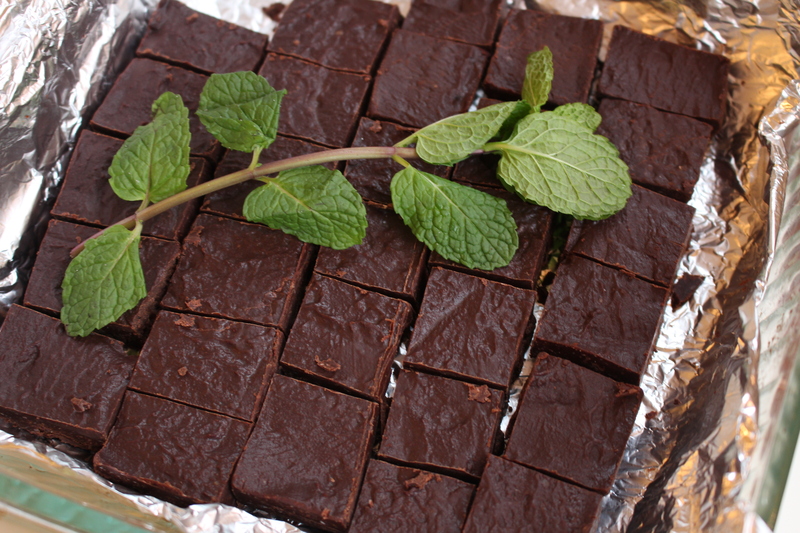 ►Remove from heat and stir in the peppermint extract. ►Pour into prepared pan. Use a piece of parchment paper to flatten and smooth out the fudge into the bottom. 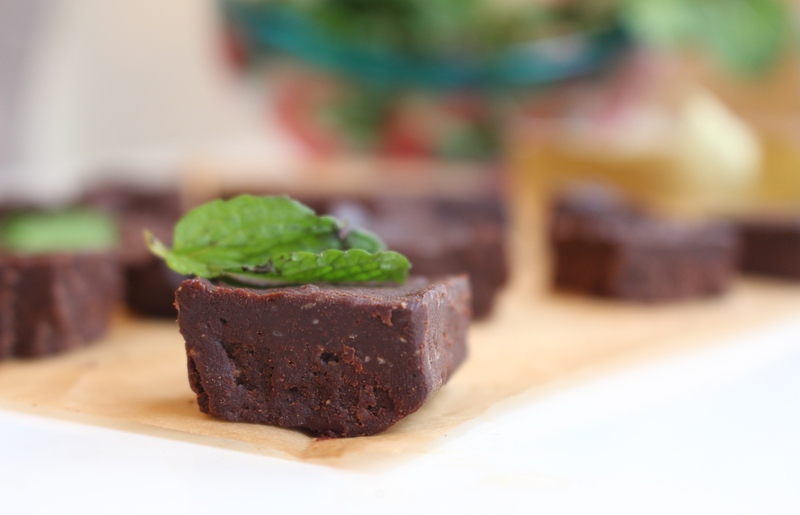 ►Freeze for 2 hours, then cut into squares and serve. Best served slightly chilled to prevent melting. Keep refrigerated.